A Melissa and Doug Swivel Bridge Train Set for C2's Birthday. Yes that is right I am in the midsts of yet another birthday party planning frenzy, but hey what is a girl to do. I have to say I am pretty excited I have one thing crossed off my list for C2. 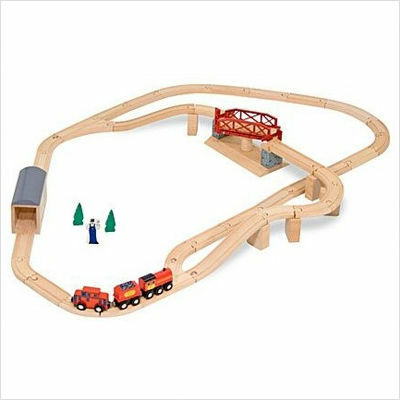 I know he will love it because the boy is obsessed with trains.